Recently, a friend of the Eth CEPHER wrote us and brought to our attention a point that some have seen as an error in that section of scripture often referred to as the New Testament, namely the identity of the sons of Arpakshad set forth in Luqas (Luke) 3:36. We are going to take a look at this issue and discover why the Cepher Yovheliym becomes a critical part of the literature. First, the passage in question. Noach * Shem * Arpakshad * Qeynan * Shelach * Heber. However, we don’t find that same list in Bere’shiyth, because the name of Qeynan is simply missing. Unto Shem also, the father of all the children of Eber, the brother of Yapheth the elder, even to him were children born. 22 The children of Shem; Eylam, and Ashshur, and Arpakshad, and Lud, and Aram. 23 And the children of Aram; Uts, and Chul, and Gether, and Mash. 24 And Arpakshad begat את eth-Shelach; and Shelach begat את eth-Eber. Noach * Shem * Arpakshad * Shelach * Heber. NOTE: [Here we note that the Septuagint is conspicuously short on text, as Genesis 10 completely omits any discussion of the sons of Shem, and when the text finally does set forth his generation, it does so in Chapter 11 and then reads as follows: 11:10 And these [are] the generations of Sem: and Sem was a hundred years old when he begot Arphaxad, the second year after the flood. Beginning and end of summary. 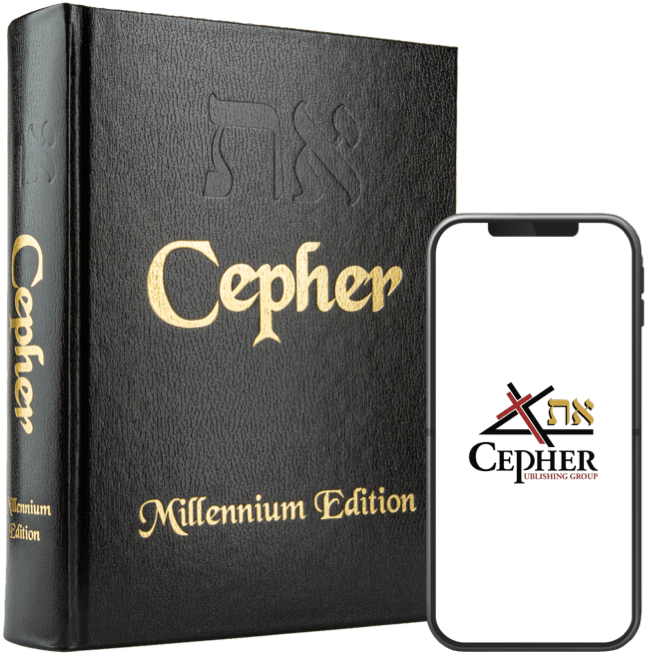 Because the Eth CEPHER includes additional testaments as to the lives and times of the Patriarchs in both the Cepher Yovheliym (Book of Jubilees) and the Cepher Yashar (Book of Jasher), we can look to these sources as well to see if we can glean additional information. And these are the sons of Shem; Eylam, Ashshur, Arpakshad, Ludiy and Aram, five sons; and the sons of Eylam were Shushan, Machul and Harmon. 16 And the sons of Ashshur were Mirus and Mokil, and the sons of Arpakshad were Shelach, Anar and Ashcol. So, our reference here tells us of the three sons of Arpakshad, which included the patriarch Shelach, but does not include Qeynan as a singular son and the father of Shelach, as the lineage is described in Luqas (Luke) 3. The problem remains. Mosheh goes on to reiterate that Arpakshad was in fact the father and not the grandfather of Shelach. An additional witness, particularly concerning lineage, can be found in the Chronologies of Ezra, in this case, in Divrei Hayamiym Ri’shon. And Arpakshad begat את eth-Shelach, and Shelach begat את eth-Eber. 19 And unto Eber were born two sons: the name of the one was Peleg; because in his days the earth was divided: and his brother's name was Yoqtan. The sons of Sem, Aelam, and Assur, and Arphaxad, Sala, Eber, Pheleg, Ragan, Seruch, Nachor, Tharrha, Abraam. Again, there is no mention of Qeynan in any of these sources. IN the twenty ninth jubilee, in the first week, in the beginning thereof Arpakshad took to himself a woman and her name was Rasu’eya, the daughter of Shushan, the daughter of Eylam, and she bore him a son in the third year in this week, and he called his name Kainam. 2 And the son grew, and his father taught him writing, and he went to seek for himself a place where he might seize for himself a city. 3 And he found a writing which former generations had carved on the rock, and he read what was thereon, and he transcribed it and sinned owing to it; for it contained the teaching of the Watchers in accordance with which they used to observe the omens of the sun and moon and stars in all the signs of heaven. 4 And he wrote it down and said nothing regarding it; for he was afraid to speak to Noach about it lest he should be angry with him on account of it. Finally, Yovheliym supports the claim that Arpakshad had a son name Kainam (Qeynan). It is this record that then claims Qeynan was the father of Shelach. And in the thirtieth jubilee, in the second week, in the first year thereof, he (Kainam) took to himself a woman, and her name was Melka, the daughter of Madai, the son of Yapheth, and in the fourth year he begat a son, and called his name Shelach; for he said: Truly I have been sent. So we see that the writer of the Besorah Luqas (Gospel of Luke) must necessarily have relied on the Cepher Yovheliym for this lineage, as it is the only source telling us of this additional patriarch. However, as we have seen by actually looking at the Septuagint, no such entry is made at all. While we are at it, note that Kainam took a daughter of Yapheth to be his wife. The Madai would come to be called the Medes (a tribe of the Medo-Persian empire) historically. His own mother was the daughter of Shushan the son of Eylam, the son of Shem (Semetic). So the bloodline which would soon lead to Nachor and Avram followed also from the tribe of Yapheth. Therefore, with the inclusion of the Cepher Yovheliym, the anomaly in Luqas (Luke) 3 is explained. Otherwise, the reader is left wondering whether Luqas is in error.